While the current American government squanders time and opportunity in the pursuit of short-term profit by imposing disruptive tariffs and curtailing sustainability-focused goals, Mexico is powering ahead with a broad effort to generate up to 35 percent of its energy from renewable sources by 2024. As a part of that transformative effort—until recent years, Mexico’s energy industry operated as an oil-forward, state-run monopoly that was one of the world’s largest crude oil producers—Italian energy giant Enel is working on a 2,900-acre solar panel installation in the state of Coahuila that will generate enough electricity to power 1.3 million homes by year’s end. 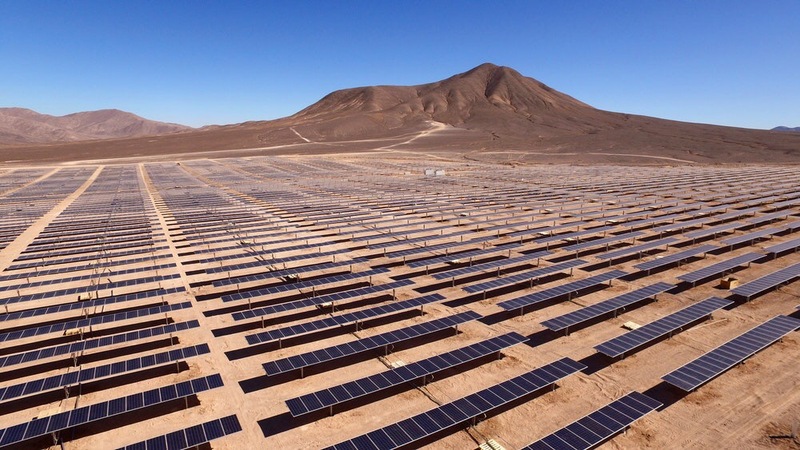 The gigantic installation covers more area than 2,200 football fields and will yield the largest solar installation within Latin America and the largest outside of China and India, QCR reports. The installation will be made up of 2.3 million solar panels that are designed to move with the sun in order to generate the largest possible amount of renewable energy and will be joined in coming years by a slew of new solar installations. And while the American solar business has been booming in recent years, efforts by the Trump administration to knee-cap the country’s sustainable energy revolution with new tariffs have helped to ensure that the positive economic benefits of this energy transformation will be enjoyed by foreign firms. In Mexico’s case, it is European companies that will see the greatest reward: According to QCR, Spanish energy firm Iberdrola is building two solar parks in Mexico, with Holland’s Alten, Britain’s Atlas Renewable Energy, and Enel each working on additional installations of their own. Enel is working on a pair of wind farms in Mexico, as well. Despite Trump’s fossil fuel–oriented approach to energy policy, the American green energy movement continues to grow at a healthy clip. A recent report indicates that roughly 18% of America’s energy comes from renewable sources, a figure that is greatly surpassed in states like California, where officials recently moved to require solar panels on all new homes starting in 2020. The state recently hit its 2020 30 percent renewable energy goal two years early, and last year, the state’s California Independent System Operator, an outfit that tracks energy production, briefly reported that a whopping 67 percent of California’s energy came from renewable sources. To boot, a 2017 report from the United States Department of Energy found that the solar industry alone employed more American workers than all of the fossil fuel industries combined. For now, government-led energy reforms in Mexico are due to move ahead amid their own presidential transition while America continues to rely on the private sector for its energy transformation.